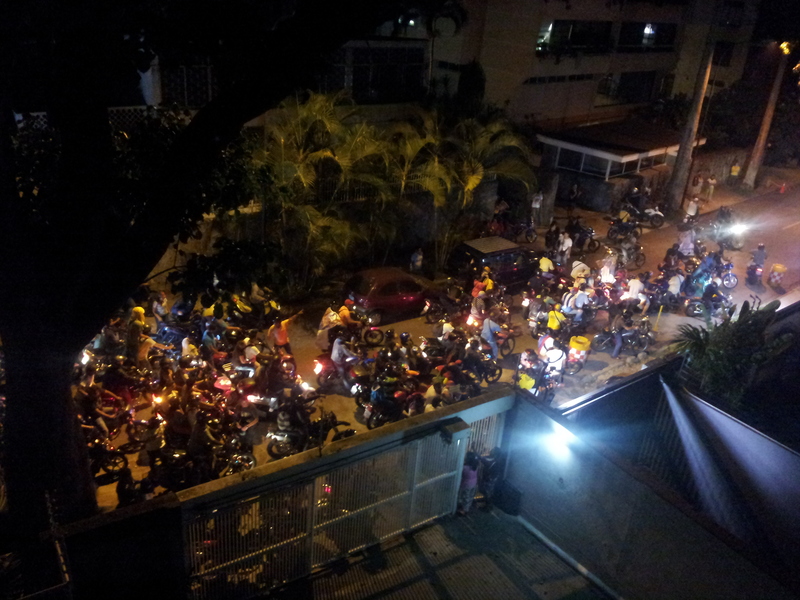 Last night as part of the spontaneous protests against the election results, hundreds of motorcyclists visited Capriles’ home (next door to us). It was intense, and touching. This entry was posted on April 16, 2013 by Michael Stein-Ross in Michael and tagged Politics.